Who will win today’s match of FIFA World Cup? Everyone is waiting for the match to begin. The most celebrated tournament in the history. 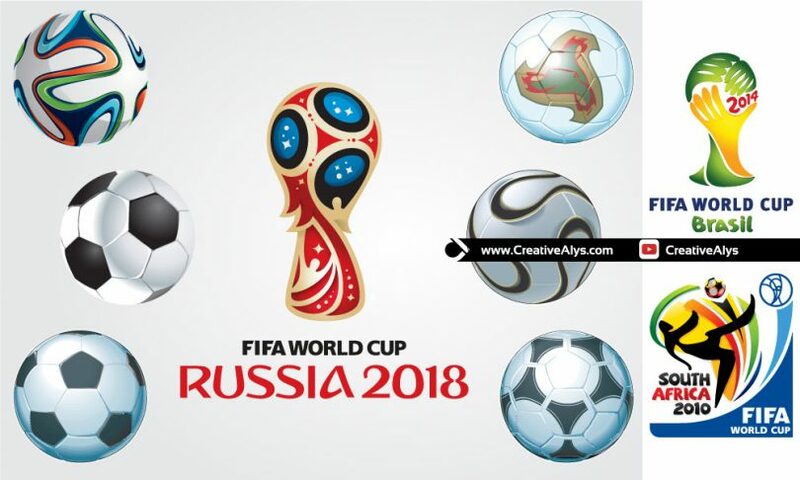 Here are some FIFA football designs used in the world-cups for all to make use in wallpapers, flyers, graphic designs and much more in vector scalable format for use in different platforms. The package also includes FIFA Russia 2018, Brazil 2014 and South Africa 2010 World Cup logo designs in vector format. Grab it now and feel free to share it. Also don’t forget to subscribe to our YouTube Channel to get more amazing stuffs.